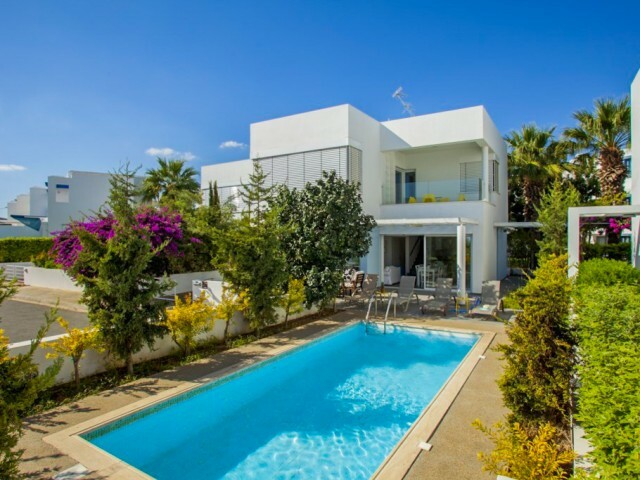 New 3 bedroom villa in Protaras with pool and terrace, surrounded by trees and plants. The famous beach of Fig Tree Bay is within walking distance of the villa. Ideally located, just a few minutes from the center of Protaras. A spacious seating ar.. Spacious villa with 4 bedrooms, private pool and garden in Protaras. The villa is fully equipped with furniture and household appliances. 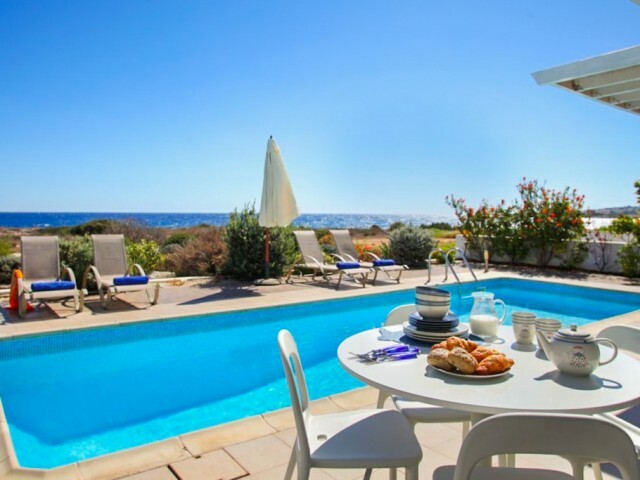 The entire necessary infrastructure walking distance: cafes and restaurants, supermarkets, water sports and m..
Villa with 3 bedrooms is located in Protaras, just a few minutes walk from the beach. Spacious rooms, swimming pool, barbecue area, equipped area for sunbathing. Living room with open plan kitchen, fireplace, comfortable sofas, satellite TV and wi.. 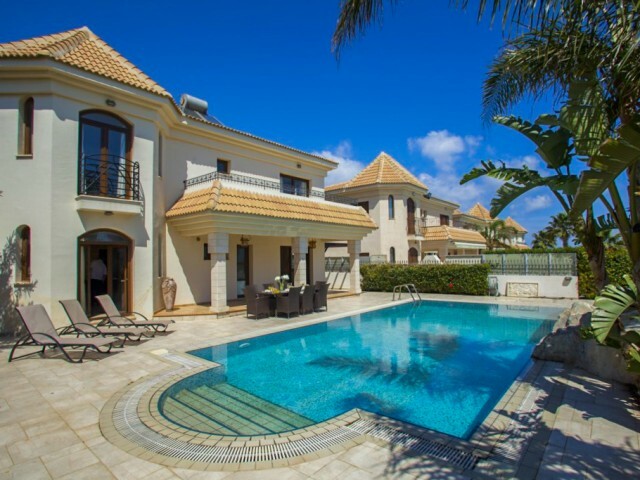 Spacious villa with 5 bedrooms on the Mediterranean coast. Large swimming pool, garden with barbecue area. On the ground floor there is a fully equipped kitchen with a dining table, as well as a living room with sofas and a TV. Spacious bedrooms, ..
Villa with 4 bedrooms located on the second line from the sea with sea view. The center of Protaras, within walking distance of all the necessary infrastructure, supermarkets, cafes and restaurants, hotels. On the second floor is the master bedroo..
Modern three-bedroom villa with three bathrooms on the Mediterranean coast, located in one of the most prestigious areas of Protaras. Quiet, residential coastal region, the famous beach of Fig Tree Bay is located two minutes walk. Stunning panoram..
Three bedroom villa with pool and garden in Protaras. 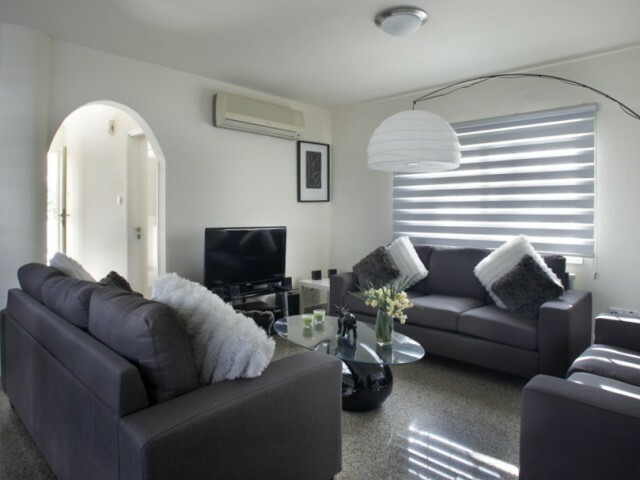 Within walking distance of the beach, shops, bars and restaurants. A spacious seating area around the pool, deck chairs, garden with dining table, a barbecue area. Open plan lounge with TV and ..
Villa with 3 bedrooms is located in the complex area of ​​Protaras and only a short walk from the beautiful beaches. On the ground floor there is an open plan living room / kitchen with all necessary appliances. two double bedrooms are located on ..
Villa in Protaras with 4 bedrooms is located just a few meters from the beach Malama, a small quiet beach with white sand and crystal clear blue water. 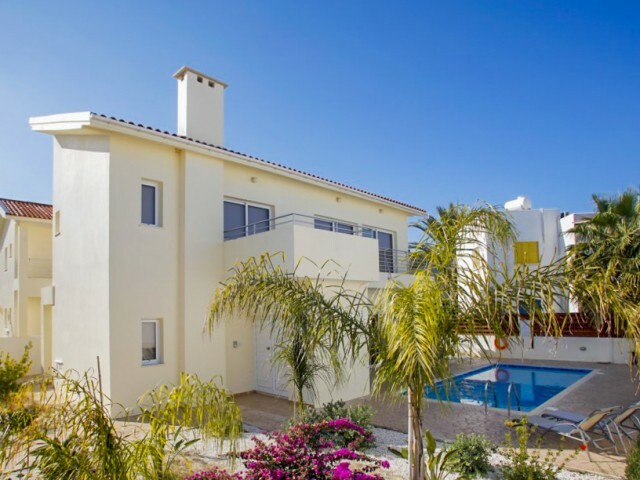 The villa offers amazing views, a spacious lawn, a private garden with a large swimming pool, h..